As part of the 2014 history NC requirement to teach a significant issue or society I have opted to look in detail at India. 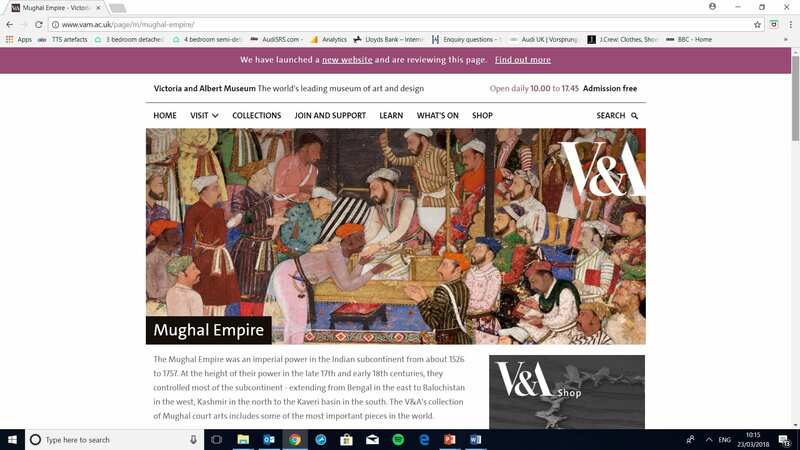 Not only does this dovetail neatly with subsequent work on the empire and post-war colonialism, it also offers pupils a fascinating insight into another culture that they will not experience at KS4. More than that it offers superb case study material that enables pupils to compare what was happening in the west in the 16th to 19th century with society in India. There are plenty of opportunities for work on interpretations as well as analysis of a rich array of artistic evidence. Indian Mutiny or war on independence? How should we view events of 1857? What does a study of India tell us about the empire? Why study the Mughal Empire at Key Stage 3? The Mughal Empire was the greatest of the Muslim empires of the early modern period.